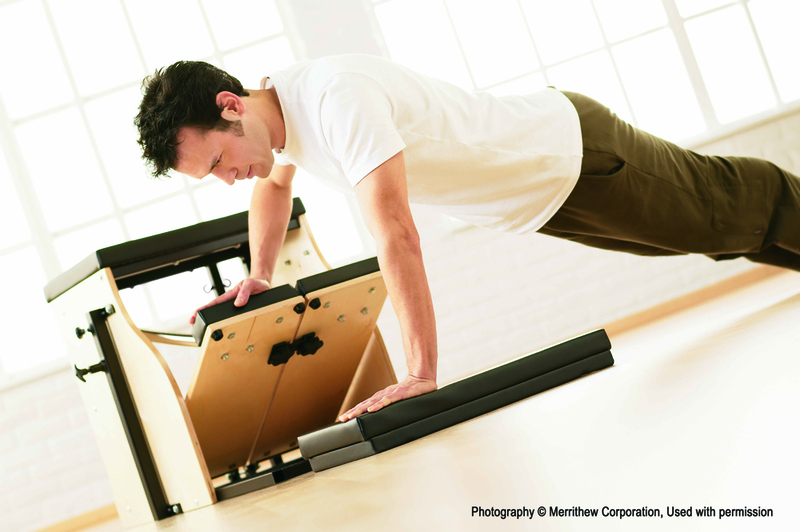 Why STOTT PILATES® exercise give athletes an edge. posture, balance, mobility/flexibility, stability, coordination, functional strength and endurance – all of which are addressed with this form of exercise. Pilates can be a very effective supplement to an injury rehabilitation program as it provides athletes with a challenging workout without impact or excessive weightbearing. Traditional athletic training methods help develop the muscles required in a specific sport, but may not address the stabilizing muscles around the joints or the torso. Often, one muscle is identified and exercises are designed to isolate that muscle, usually in a single plane of motion. However, Pilates exercises can be more complex than traditional moves and therefore recruits a larger number of muscle groups or strengthen the same muscles from many angles and in a variety of different ranges of motion. Core strengthening is an integral component of any injury prevention, rehabilitation or sports performance program. A strong core provides a dynamic link between the upper and lower body, alleviating excess stress on the peripheral joints. In athletes, core strength contributes to enhanced athletic performance by providing a solid foundation from which the upper and lower extremities can generate force for running, throwing, rowing or jumping. Pilates focuses on re-balancing the muscles around the joints, improving overall alignment and flexibility. The focus on core conditioning is paramount for optimal results and performance. Moira maintains that Pilates is used to increase joint stability and strengthen the deep core muscles which helps prevent injuries and leads to improved athletic performance. 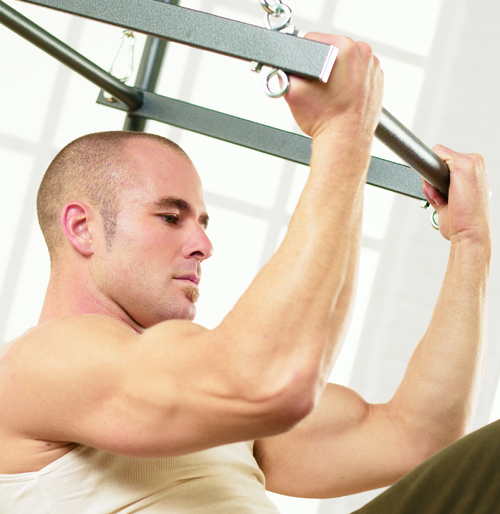 Pilates exercises can be easily incorporated into regular sport-conditioning regimens. For instance, on a light weight day, a recovery workout day, or prior to skill acquisition days, a Pilates workout is a great way to work on neuromuscular coordination and proper muscle-firing patterns. Another option is to add some Pilates exercises to the warm-up ritual. Matwork is the foundation of the exercise system. All the basic exercises are designed to target very specific muscle groups in very specific ways and there are numerous exercises that can be performed and/or modified on mats found around the gym that can be helpful in addition to an already established workout program. Some popular Pilates exercises can put strain on the low back in clients with typical postural imbalances if not performed correctly, so it’s important that instructors are properly trained to teach more complex exercises. Light equipment such as 1lb, 2lb or 3lb Toning Balls™ help close the kinetic chain, add proprioceptive awareness and add challenge to exercises by increasing the load or de-stabilizing the base of support. Other light equipment such as Stability Cushions™, Fitness Circles® and Flex-Bands® can also add variety to mat-based programming. Pilates is effective because it trains all three functional muscle systems. Trainers can encourage athletes to stabilize the joints effectively at low loads and then progress to strengthening eccentrically which will control deceleration movements by using the global stabilizers and finally progressing to the larger global mobilizers, with the inherent joint stability already in place. When all muscular systems work in a timely and coordinated fashion, athletes can achieve large gains in strength, skill, coordination and biomechanical efficiency. Pilates focuses on improving stabilization of the lumbo-pelvic region, and therefore improved core stability will carry over to the sporting realm, reducing the risk of injury and improving performance.